For most of the last thirty plus years, these press packs have been sitting in filing cabinets and storage boxes. They're all originals, either obtained in person from record company press offices or from promo men. Over the years, many have been lost to printers, magazines and friends. These are all that remain. Click on any image to see full details and a purchase link. All prices include U.K. postage and packing. If you're outside the U.K., please mail info@rockmine.com for postage rates. 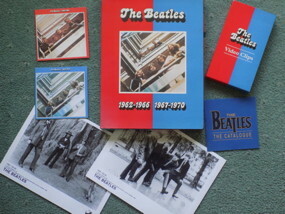 The Beatles 1993 Red & Blue press pack. 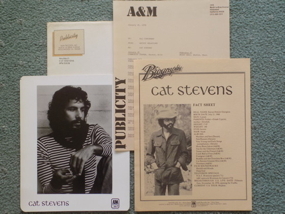 Cat Stevens 1976 US press pack. 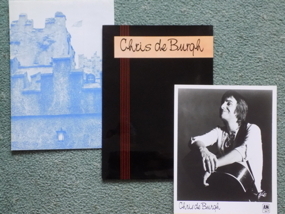 Chris De Burgh 1975 UK press pack. 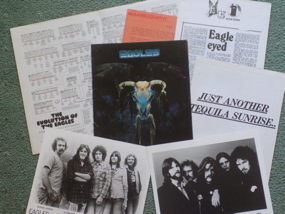 The Eagles 1975 UK press pack. 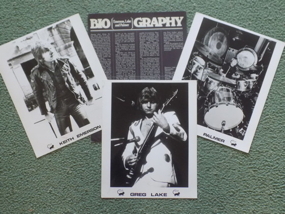 Emerson, Lake & Palmer 1974 UK press pack. 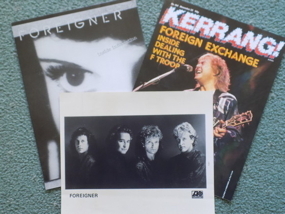 Foreigner 1987 UK Press Pack. 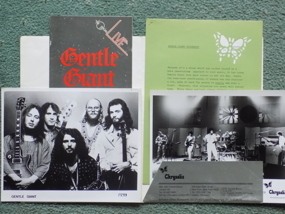 Gentle Giant 1977 UK press pack. 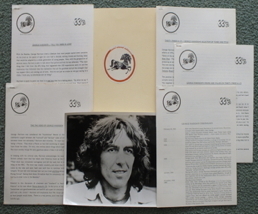 George Harrison 1976 UK press pack. 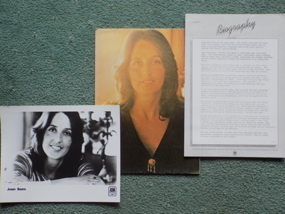 Joan Baez 1976 UK press pack. 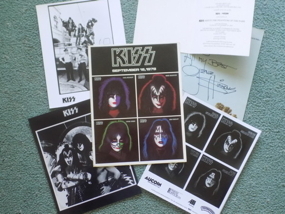 Kiss 1978 UK press pack with autograph. 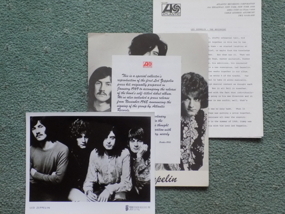 Led Zeppelin 1990 UK Press Pack. 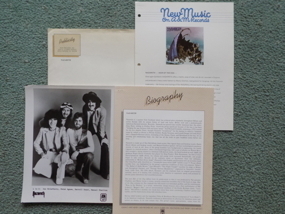 Nazareth 1976 US press pack. 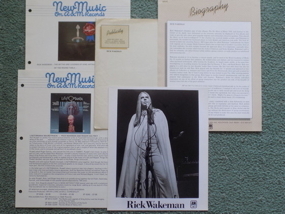 Rick Wakeman 1975 UK press pack. 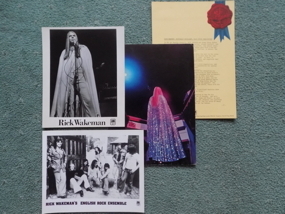 Rick Wakeman 1976 US press pack. 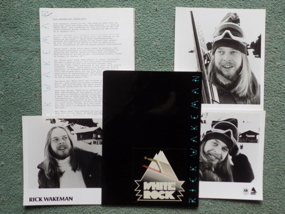 Rick Wakeman 1977 UK press pack. 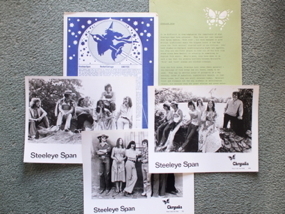 Steeleye Span 1976 UK press pack. 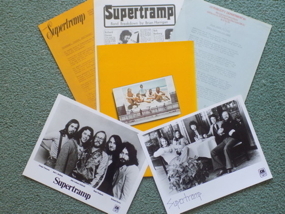 Supertramp 1976 UK press pack. 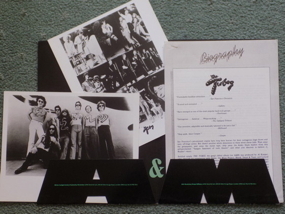 The Tubes 1976 UK press pack.